Jump to: Narrative, Characterization, Dialogue, Setting/Imagery, Plot, Research, Grammar, Punctuation, Pre-Submission Proof. ou’ve finished your manuscript. You’ve celebrated the accomplishment of completing something many people dream of but never do. You’ve let your manuscript sit for at least a few weeks, and now you’re ready to begin editing. Self-editing is considerably different than being in a creative mode, so send your muse to vacation in Tahiti; it’s time for your inner editor to pick up the red pencil and get to work. 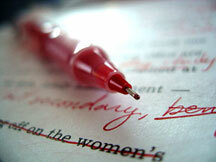 Self-editing is a lot more work than you many realize. It’s so much more than just checking for grammar and punctuation errors. You need to evaluate every part of your story: narrative, dialogue, characterization, setting, plot, etc. It’s important to ensure every aspect of your story is polished before you submit your manuscript to an agent. The best way to approach self-editing is to break the steps into manageable pieces. Whether you’ve cranked out your story within a few weeks or you’ve taken years to get it onto the page, the self-editing process is the same. Choose one area of focus to start with and go through your entire manuscript page-by-page with that one element in mind, from Chapter One to the end. However, do wait to start your editing pass for grammar and punctuation errors until after you’ve finished all the major components of your story. But wait... Does that mean you’ll be making fifteen or more passes, beginning to end, through your entire manuscript? Yes, it does. You may be tempted to take what you perceive as a shortcut and try to check every element on the editing list on page one, and then move on to page two, and so on. But don’t do it. You won’t get fifty pages into the manuscript before you’ll lose track of important threads; you’ll miss opportunities to improve each element; you won’t catch lapses in consistency or mechanical errors. Effective self-editing requires you to have laser focus on each story element and how it functions technically within the whole manuscript. Something to remember: you’re not creating the story; you’re analyzing it and making it better. 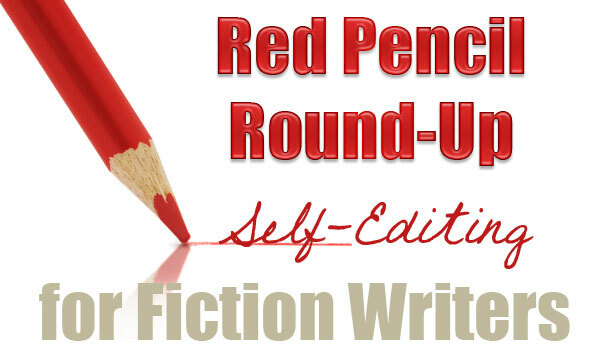 If you’re ready to join the round up, grab your red pencil and let’s get started! There are certain parts of your narrative that are crucial to creating a story that hooks the reader on page one and keeps her turning the pages through to the end. This is where you need to be ruthless with your editing. The modern reader is busy and easily distracted, so you have a limited amount of time to pull her into your story, keep her captivated by your complex characters, and make her want to find out what happens next in your plot. Starting on page one with backstory or using a “soft open”—telling the reader what you think she needs to know about your character or the situation your character is in—can be the story equivalent of a sleeping pill. Some writers can pull it off, particularly in literary fiction where the pacing is often much more languid and full of introspective narrative. But if you are writing for the mainstream reader, jump into your story immediately. You can employ a useful technique from the craft of screen and playwriting: begin your story in medias res—in the middle of something happening. It doesn’t have to be as in-your-face as the discovery of a dead body, or a violent fight scene—unless that’s the type of story you’re telling. Setting up conflict, internal or external, on the first page drops your readers into the middle of your character’s life and launches your story. Choose a point where your character is faced with a decision, challenge, opportunity, or obstacle. Ask yourself: What is the catalyst that sets the story in motion and drives my character toward her goal? It doesn’t have to be something of epic proportion. She could be buttering her breakfast toast and rehearsing what she plans to say when she asks for an overdue raise at work. She could be gazing at her sleeping husband and wondering how to tell him she wants a divorce. Take a look at your story and locate the point where your character is moved to action by an external or internal force. Begin your manuscript there. Often when embarking on the initial rewrite, a writer discovers her story actually starts in the third or fourth chapter. As if it took her muse a few chapters to warm up. If you find yourself saying “The story really picks up and gets interesting around page 43.”—you definitely need to reconsider your opening story structure. Not all backstory and exposition is bad. Sometimes it is necessary to show how the characters became who they are, how they got into their current situation, or why they take action or react the way they do. The best way to deliver this information is a technique I call “the bread crumb trail.” If you dump all the information into a pile on the reader’s lap, you risk boring your reader and veering onto a distracting tangent that is unrelated to the unfolding of your plot. But, if you sprinkle the information like bread crumbs through your story, you allow the reader to discover more and more about your character(s) a little at a time. It’s easy to camouflage reader feeder—information the reader needs to know—within scenes related to the exposition you want to deliver. For example, if your character is experiencing cryptic nightmares and you need to convey that her grandparents raised her on a farm built atop a sacred Indian burial ground, don’t launch into a block of exposition about her childhood. Place her in a scene at the farm, have her call her grandmother and question her experiences, create a scene where she digs a secret-filled box out of the attic—choose something active that moves the plot forward and gives you the opportunity to reveal that information in an interesting way. Also, when you feel compelled to share exposition with your reader, take a hard look at it and determine whether they really need to know and whether it’s absolutely necessary to the understanding of your character(s) and story. 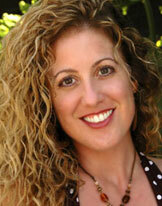 The first bit of sage advice every new writer hears is “Show, don’t tell.” Why? Because telling the reader what happened in the story isn’t as engaging as showing the reader by allowing her to “see” the characters’ actions. And having a character tell the reader what another character said is not as compelling as letting the reader “hear” that character’s voice. Don’t tell the reader he was nervous; show it. Show, don’t tell, also applies to describing your setting. You want your reader to feel like she is physically in the scene, experiencing it with her senses. Telling your reader about the setting isn’t as effective as showing her what it feels like to be there. Also, look at your character description. When you introduce a character, don’t give a head-to-toe list of the character’s physical appearance. Weave your character description into the action. You only need a few details to give the reader a sense of the character’s appearance. Use your description to show what the character thinks about herself or others by the way she acts and reacts. After you’ve gone page-by-page looking for opportunities in your narrative to show, not tell, make a final, global pass. Go through the manuscript on a “tell hunt” using the Edit -> Find function in Microsoft Word to search for sentences where you have used was and were. Recast those sentences using active verbs and show the readers your story. Don’t just tell them about it. As you read through your story, look for balance. Do you have five pages of “talking head” dialogue back and forth between your characters? Do you have page after page filled with large blocks of narrative where you spend an inordinate amount of time inside a character’s head, conducting a symphony with the internal monologue? Does your description of the setting go on and on about the vegetation and topography? Do you explain something technical with such detail and precision that every turn of a screw and clip of a wire fills several pages? An excess amount of detail or overuse of a particular story element can reduce the reader’s interest and cause her to “skip to the good part” or put the book down and never pick it up again. It’s important to keep your narrative, action, and dialogue proportionate. The pacing of your story depends on it. Also, watch your balance of dark and light moments. If you have scenes with extreme emotional tension that can cause fear, sadness, or anger in your readers, give them frequent breaks and balance those exhausting emotions with light moments. By using elements of humor, relief, or comfort in alternating scenes, you allow the reader to enjoy the story journey you are taking them on. Check for inconsistencies in your voice. Occasionally, your voice may change. Not the squeaky, transitional change you’d associate with pubescence, but equally awkward variations that alter the tone of your story. I’ve noticed this in manuscripts I’ve analyzed for clients. Most often the inconsistencies appear in openings and endings that have been rewritten so many times they have lost the core voice of the story. Sometimes it happens in individual scenes such as a story with a conversational tone that slips into flowery or lyrical prose in a scene that is difficult or emotionally significant for the writer. These tonal inconsistencies are like giant speed bumps for the reader, jarring them out of your story. Common causes of voice change in your manuscript: scenes or chapters written out of sequence, scenes or chapters added to the storyline, significant time lapse between writing periods. Avoid them like the plague. How? It’s a piece of cake. You can be blind as a bat and still see that a story full of clichés will make a reader madder than a wet hen. Rule of thumb: Using clichés and idioms in your narrative draws attention to the unoriginal and overused phrases and away from your story. However, it is acceptable to use colloquialisms in your dialogue as part of character development or to add regional flair, but use them sparingly, y’all. Spend a little time creating your own unique turns of phrase that showcase your voice. Any time you bring new characters into a scene, they need an introduction, but not the formal introduction you might think. Avoid defining your characters by their traits or personality. It locks them into a set mold in the eyes of the reader. Give a few key physical details to help the reader develop a mental picture of them, but allow the characters’ actions and dialogue to convey the type of people they are. Take a look at your character list. Change any names that start with the same letter or have a similar sound when read aloud. I had one client who didn’t realize she had such an affinity for “J” names until I pointed out that she had Jonathan, Josh, Jackson, Jenny, and Jessie (along with Carolina, Connie, and Kristen) cavorting through her script and it was quite a challenge to keep track of them. Make it easy on your reader. Don’t let something as simple as a character name cause any confusion or difficulty following your story. Also, before you fill out your character’s birth certificate and deliver her onto the first page, make sure her name fits the era in which your story takes place. You won’t find any coat-check girls named Ashley in 1920s Chicago. Use this U.S. government name list or search online for popular names for characters from other countries. Examine every character in your story. Make sure they all have goals. Everyone wants something. It’s not enough to have only a main character with a goal. The conflict in your story comes from characters who have goals that are in direct opposition. If you don’t have conflict, you don’t have a story. Search for places where your scenes feel flat or weak—if you have sequences where nothing significant seems to happen, either cut them or find a way to create tension/conflict between the characters. Don’t make it gratuitous; it must move the story forward and/or reveal more about your characters. You never want your readers to wonder, “Why did the character do that?” As soon as they cease to understand your character’s motivation, you’ve lost them. Readers don’t have to agree with your character’s choices (and often it’s good when they don’t), but they do have to understand why your character does/doesn’t do something. Your main character is in the living room during a heated argument between her drunk husband and their teenage daughter. All of a sudden, the husband punches and kicks the daughter, throws her across the room, and continues beating her. The mother doesn’t intervene. She grabs her younger daughter and a visiting neighbor child and flees the house, leaving her teenage daughter alone with the violent father. Readers invested in the characters and the story want to understand why the mother didn’t crack the husband over the head with a lamp or call the police. It’s ok for a character to be flawed and make choices readers don’t think they would personally make if they were in the same situation, but the character’s motivation needs to be crystal clear for the readers to accept it. Writers must invite readers inside the character’s head and heart. Readers need to viscerally feel what the character is feeling in scenes where she makes controversial choices. There are techniques you can use to firmly establish your character’s motivation: Use internal monologue. Support the choices by showing, not telling, the character’s weaknesses or strengths in preceding scenes. Set the stakes in the scene to convey what your character stands to gain or lose. Just don’t leave them guessing. Do your characters say exactly what they are thinking and feeling? Do they mean what they say? Or is there more to it? On the nose dialogue can feel forced and come across as stilted or unnatural. For example, how many times in your past relationships have you and a partner expressed your deepest and most heart-felt feelings openly and candidly to each other? That rarely happens in real life and it can look artificial on the page. Subtext is exactly the opposite of saying what you mean. Think of subtext like an iceberg. You only see a portion of it; the majority is below the surface. Try to accomplish the same feeling with your dialogue to add depth to your scenes. Here are a few ways to add subtext to your dialogue: Show actions, facial expressions or gestures that contradict what is being said. Create obstacles that interfere with characters expressing themselves completely like lack of privacy, conflicting emotions, fear of rejection or ridicule. Hint, lie, mislead, or manipulate. Find ways to use dialogue to build more complex characters. If you choose to use profanity in dialogue or internal monologue, use it sparingly. The F-bomb and other obscenities lose their power when they become nouns, verbs, and adjectives in every other sentence. Keep in mind your genre, audience, and the character or situational appropriateness before using blue language. Do a global Edit -> Find in your manuscript for each profane word and cut the frequency of use by at least half. For each instance you use words that could be considered vulgar or offensive, evaluate whether a more suitable word can replace them and convey the same emphasis. Every character should have a different voice and be easily identifiable by their dialogue, not only by what they say, but also how they say it. If you can’t remove all the dialogue tags and immediately tell who is speaking in the scene, you need to take some time to personalize the voices of your characters. Play around with the intensity, attitude, rhythm, word choice, formality, and sentence length of your characters’ dialogue. A character may be sarcastic. One character may speak in sharp, declarative sentences. Another may use slang or “shoot the breeze” in a colloquial manner. Yet another may utilize polysyllabic words, eschew contractions, and favor more erudite language. Don’t be afraid to mix it up and break stereotypes; it will add dimension to your characters. If your characters’ dialogue tags look like you dumped a variety pack of utterances onto the page: murmured, exclaimed, questioned, chuckled, scoffed, giggled, barked, hissed, croaked, growled, snickered, snarled, squeaked, sneered, etc.—delete them all and replace them with one word: said. The simple said is invisible to readers and doesn’t draw attention to the tag. Trust your readers to understand the tone of the scene and trust the strength of your dialogue to convey the meaning. Kill the wrylies. If you feel inclined to add an adverb to your tag, don’t do it. Example: “I’m exhausted,” Karen said tiredly. In most cases, you are being redundant. You can use character action to replace a dialogue tag. Example: “I’m exhausted.” Karen flopped across the bed and closed her eyes. Remember: You can’t smile, nod, or wink dialogue, or do anything else physical with the words. In scenes where you have two characters having a sustained conversation, you can omit the tags completely once you’ve established their positions in the dialogue exchange. Their unique voices will convey who is speaking. Examine the imagery you use in your scenes. How many senses are you using? Sight? Sound? Smell? Touch? Taste? As your character leans against the sharp edge of a splintered beam on the creaking wooden porch, while she watches a gang member bleed out from seventeen stab wounds to the back, can she hear the buzz of flies dipping into the widening pool, rendered pasty in the July heat? Is she ignoring the trickle of sweat snaking along her spine? Does the wet-iron smell of so much blood make her mouth taste like a dirty penny? You certainly don’t need to pack every one of the five senses into a single image or scene, but do take a look at your use of sensory images throughout your entire manuscript to determine if you are using all five senses to effectively create mental pictures and stimulate visceral empathy in your readers. Make sure your characters are grounded in the scene. In screenwriting, they call it an establishing shot—where the writer sets up the location in which the scene takes place. For narrative writing, it doesn’t have to be as blatant as stating the time of day, interior or exterior setting, and exact location, but you do need to give the reader a sense of place. If your protagonist is sorting mail and carrying on a conversation with another character, we need to know if she is standing on the porch at her home, sitting at the desk in her corner office, or working in the mailroom at the post office. Occasionally writers become so involved with the exchange of dialogue between characters they fail to give readers a clue to where the conversation is occurring. Make sure you don’t have pages full of talking heads; have your characters move through the setting, even if the movements are small like leaning back in the chair, glancing at the clock on the wall—anything that shows they are grounded in a particular place. Also remember to use your settings to add dimension and personality to your characters, variety and interest to your plot, and tone to your story. It goes without saying that you should make sure your story has a beginning, middle, and end, with the requisite rising and falling action, complications, crisis, climax, and resolution. At the different plot points, your character should grow and change: arc. Now, put your plot to the cause and effect test. Start at the end of your story. How did your character arrive at that resolution? What happened before that? What caused that event? What came before that? Work backward from the end to ensure your plot doesn’t go on unrelated tangents. Work backward to make sure there is a logical progression that leads your character from one action to the next. Look for gaps. If you find any, fill them in with bridge scenes. Look for tangents—remove them and rebuild the plot to follow the logical cause and effect. Using this technique will help you ensure you have a solid progressive structure for your story. Check. Double check. And triple check your research. Writers of historical fiction or any type of period piece know the seemingly smallest detail error will have readers chasing them through the village with torches for not getting the facts straight. But even if you never intend to write Regencies, you still need to make sure of the accuracy of your facts: seasonal weather patterns to indigenous plants, styles, economy, geography, pop culture to tribal culture—anything and everything that might show up in a question on Jeopardy. If you don’t know it, someone out there in reader-land will. Don’t let them catch you napping with your head on the research department desk. As soon as you pull an adverb out of your writer’s toolbox, you’ve grabbed a wrench to pound in a nail. It may work, but not nearly as effectively. Do a global “ly” Edit -> Find check. Axe the adverbs and use stronger verbs. Choose verbs that best convey the character’s actions in a scene. “To be” belongs in Shakespeare’s dialogue, not used in your narrative as what I call “pre-actions.” In so many manuscripts, I see writers whose characters are always preparing to do something instead of doing it. Melissa started to dance with Jared. Sylvia began to pack her clothes. Kelly got ready to go to the clinic. Kelly drove to the clinic. Passive voice distances the reader from the story and weakens your images. Using active voice draws the readers into your story and creates a sense of immediacy in the scene, even if it’s written in past tense. Keep an eye out for sentences whose meanings are ambiguous. The doctor told Alex that he has two days to live. Who has two days to live? Alex or the doctor? When there is any doubt or confusion about who said or did what, recast the sentence until the meaning becomes clear. Watch for tense shifts. Don’t let your sentences become shape-shifters that morph all over the page. Megan goes to Brett’s house and dumped his clothes in the driveway. She knew she would see him later after she had been working. Brett was going to be surprised when he saw what Megan has done to his entire wardrobe. At the end of the day, one of them will start to yell. Ok, that’s one hot mess of an example. Don’t do that in your manuscript. It seems every writer has a pet word: an unnecessary word that sneaks into sentences and robs them of their power and adds to the word count without adding any significant value. Here are a few filler words: just, really, that, as, actually, very, so, well. Check your dialogue and narrative. I’m a just-er. I just did a global Edit -> Find and discovered six places where I used it in this article (not counting the two in this section). See if you can search and destroy your bad, filler-word habit. Here are some of the basics for publishing in the U.S.
Use one space after all punctuation. Yes, that includes periods and other punctuation at the end of a sentence. Welcome to the millennium. “Period Space Space” went out of use with the typewriter. And despite what your Paleolithic-era English teacher pounded into your head, it’s only one space after a colon too. The em dash—per the Chicago Manual of Style, the publishing industry bible—does not have spaces between the words and the dashes. Periods and commas go inside the quotation marks. Question marks and exclamation points only go inside if the sentence inside the quotation marks is a question or an exclamation. Colons and semicolons always go outside of quotation marks. Keep that in mind, and don’t use them in dialogue. People don’t speak in colon and semicolon sentences. Use periods and commas in dialogue. If you decide to use “scare quotes,” use them sparingly and always with double marks, not ‘single.’ Overall, it’s better to avoid them because they’re unnecessary and they can get “frighteningly” annoying. There are many nuances and rules to using punctuation correctly. I highly recommend you select one of the appropriate guides listed in the resource section at the end of this article. Study it and refer to it often. I shouldn’t even have to mention this, but for the sake of not making assumptions about the expectation: Run your manuscript through the Spelling and Grammar function. With all the time you spent writing it and then rewriting it, you’ve been looking at your manuscript for so long, you’ve probably missed something. Yes, you need to do an audio check too. Pour yourself some tea, hot or iced. Lean back in your chair, turn up your computer speaker volume, and set the Speech function to read your manuscript aloud. The voice may be a bit robotic, but listening to your story read aloud will help you catch errors even the spell checker missed. ON YOUR MARK, GET SET, EDIT! 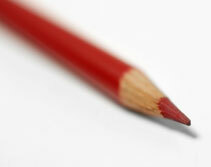 Now that I’ve taken you on a round-up of what to look for in your manuscript, grab your red pencil and get to work. Just keep repeating to yourself: Writing is rewriting. Writing is rewriting. 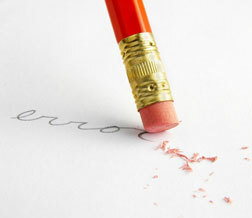 This article will get you started, but there is so much more to self-editing than I could possibly cover in such a limited space. Be sure to check out these helpful writing and editing resources. The Chicago Manual of Style, 17th ed. (CMS) is the go-to style bible for the publishing industry. This must-have resource includes rules of use for grammar, punctuation, word choice, documentation, indexes, as well as information about editing, front and back matter, and preparing your manuscript for submission. Self-Editing for Fiction Writers by Renni Browne & Dave King is the ultimate compass and map to get you through the self-editing jungle. Read it. Use it. Thank me later. The Writer’s Little Helper by James V. Smith Jr. is a great little book that packs big ideas into bite-sized craft tips that leave you full of valuable information. A Dash of Style: The Art and Mastery of Punctuation by Noah Lukeman is a punctuation guide for the creative writer. Each chapter covers the nuance and mastery of the major punctuation marks. She provides in-depth manuscript analyses and developmental editing for writers who want assistance with techniques covered in this article. Annette blogs about writing and book marketing at www.annettefix.com. She is the former senior editor of WOW! Women On Writing.